For many, volunteerism is a way to give back to the community; a contribution of time to benefit others. For some, volunteerism is a means of joy; a way to be involved with like-minded people uplifting their neighbors. That is what Bob, a regular volunteer at our build site in the Cully community, has found. Three days a week, Bob is out there toughing out the weather and building homes alongside the construction crew. He goes home each day with a smile, having a full day of physical exertion and camaraderie under his belt. As the fifth of ten children in a farming family, collaboration runs in his blood. Back home in Rock Falls, Illinois, he and his family produced generational corn and soybean seeds for commercial farming. It was a career that would take him across the Midwest to California’s Sacramento Valley, where he he held many titles, including General Manager of Bayer (now Monsanto). There, he grew sunflower seeds for farmers to plant along Interstate 5 and throughout the valley. But it was during his youth that he picked up a hammer and learned to build homes. When he was 22 years old, a local construction crew leader taught him how to frame houses; there he picked up electrical and plumbing skills as well. “He taught me to not be afraid to dig into a house and see beyond the walls,” Bob said. He applied that knowledge to his own home; embarking on projects with his wife, Carrie. Together, they’d repair old and new homes; enjoying the transformative process of reconstructing their surroundings. Now both retired and living in a bungalow in Southwest Portland for the passed three years, he wanted to be outdoors again, working amongst like-minded people. 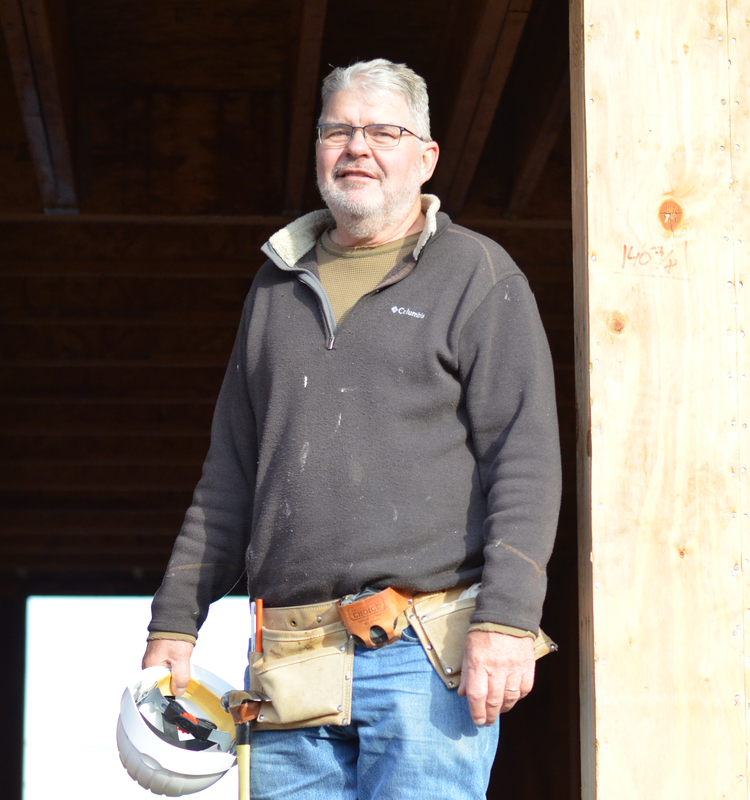 Having followed Jimmy Carter’s career and admired his dedication to Habitat’s mission, Bob decided to root his retirement in something worthwhile. He was pleasantly surprised to discover that Habitat doesn’t build cheap homes and give them away for free. He’s learned how to build sturdier, weather-resistant homes, knowing that his hard work is going toward families who build alongside him and learn how to manage a mortgage. He said he’s also learned a little bit more about himself. Usually a quiet, behind the scenes man, working collaboratively as a team allows him to get outside himself. He’s taken on more leadership responsibilities; teaching new volunteers how to hammer and saw, and managing projects for small groups. Through his skilled guidance, he encourages people to see beyond the walls and not be afraid to take that first step in uplifting their community.